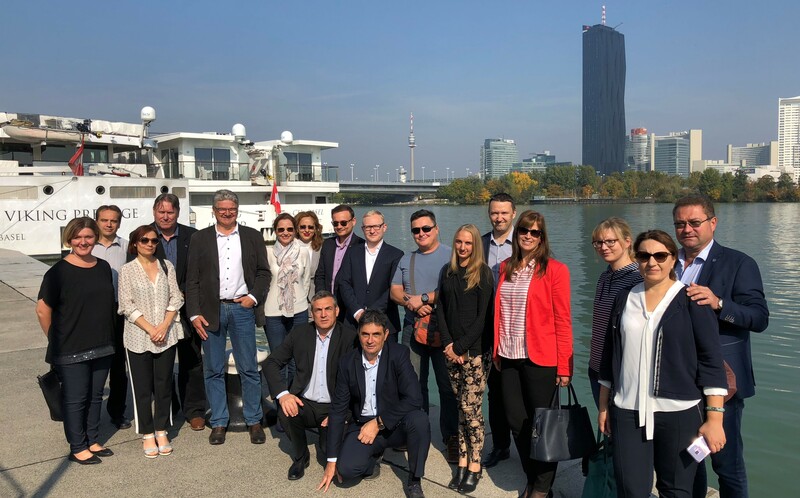 The last partners meeting of the GREEN DANUBE team, before having the final event in the Danube Delta in spring next year, took place this week in Vienna and was hosted by Pro Danube Management. Partners have discussed about administrative and financial issues in general and have been focusing on the thematic activities of the project which are still outstanding as well as on already developed actions like the air quality measurement activities along the Danube. One of the other main topics on the agenda has been the organisation of workshops in all seven project countries regarding the Greening Strategy as well as regarding the Policy Agenda. A further important issue was to discuss the already started transnational campaign and pilot actions to test IWT EICs (Inland Waterway Transport - Environmental Information Centres) in the Danube Region. Moreover, the partners prepared together next steps for further successful progress in the project.